Available on American Epic - The Sessions. Once on one of his KCRW appearences, Beck performed an unreleased blues song we know as "Feel the Strain of Sorrow" (and later as "Woe On Me"). The first line of that song is "On the old forgotten crossways where the fourteen rivers did meet." Beck said that the song was part "of a series of songs about this character that lived a hundred years ago." It only stand to reason then, that "Fourteen Rivers Fourteen Floods," one of Beck's purest blues, was a part of this series as well. "14 Rivers" certainly sounds like it is tapping into something older, and envisions an ancient blues landscape. I've tried to research into the "fourteen rivers, fourteen floods" idea or myth, whether that showed up in older blues songs or history or what, but it appears to be original. Fourteen is surely quite a few rivers! It gives the myth a slightly fantastic feel. Anyway, regardless, Beck's ramshackle guitar-playing is still some of the most effective he's ever put to tape. And the song itself is terrific: a little blues tale about disasters, escape, a vagabond life. It would seem that Beck never really turned to "14 Rivers" in the early days of his touring life, but perhaps there were a few we don't know about. The first live version of the song I am aware of didn't come until February 24 2002. It was done as a two-man arrangement, with Beck on acoustic guitar and Smokey on slide guitar. They've done a number of blues duets over the years. Pretty cool addition to the setlist! This arrangement then showed up a couple of times Beck & Smokey's two-man tour in August 2002, as well. Before one of them, on August 17, Beck said "I don't think I've ever played this live" even though he reportedly played it a week before. And how could he forget that February jam? I know too much, don't I? Anyway, it's pretty freaking cool to hear it live, an authentic slow blues stomp. Beck plays harmonica and does a bunch of blues "whoo! "s, and Smokey's always a great blues slide guitarist. Beck sings "dead-end" trail in the second verse, and the very last line is "somebody got 'fraid / they're never coming back." 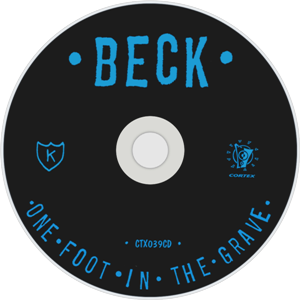 On August 20 2002, Beck tossed a bit of "One Foot in the Grave" on to the end of the song. It made a few more appearances during Beck's solo Europe tour of 2003 also. Then kind of incredibly, 10 years later, in 2013, not only did "Fourteen Rivers" make a return to setlists, but in many ways it was the showstopper highlight of the shows. No kidding! The blues duets of 2002-2003 were now expanded and filled out into a full band acoustic blues. The song was infused with more drama, but it still felt real and thrilling. Beck's ability to find life in an old song like this makes you long for him to dig in his archives a little bit more often. They did the song together 7 or 8 times. In between the main 2013 shows, there were also some noteworthy Station To Station versions of the song; which I won't lie, are up there in the greatest things I've ever heard Beck do. He took the acoustic blues stomp, added pounding drums, and even more amazingly, a gospel choir. The choir sang throughout his Station To Station sets, but it was on "Fourteen Rivers" that Beck let them loose. Beautiful, and stunning. The song was then dropped from his 2014 Morning Phase tours, as well as some touring in 2015-2016. In early 2017, Beck reconnected with his choir at some shows in early 2017, and they did "Fourteen Rivers" two more times.